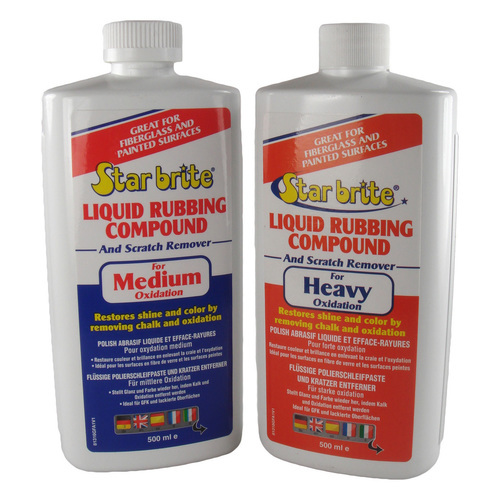 An abrasive compound cleaner for restoring fibreglass from medium or heavy oxidation and scratches that helps bring shine back into gelcoat. 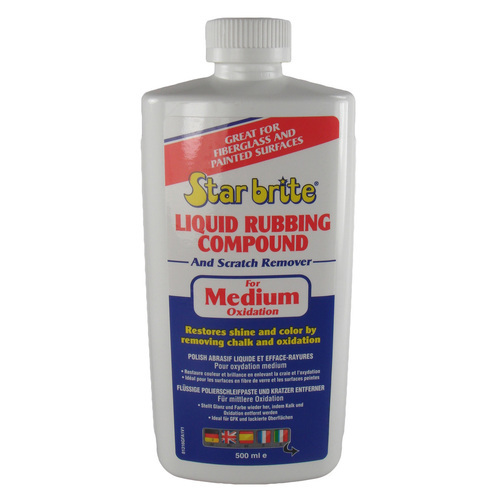 The liquid formula is great for hand or buffer application, removing stains, scratches, medium and heavy oxidation from fibreglass, metal and painted surfaces, usually leaving surfaces in a shiny, 'like new' condition. 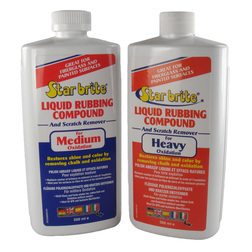 The boat cleaner liquid rubbing compound is available in two abrasive grades, Medium or Heavy. For heavily oxidisation, where gelcoat is extremely dull or coated in hard calcium build up the Heavy Liquid Compound is most useful as it cuts harder into the build up. 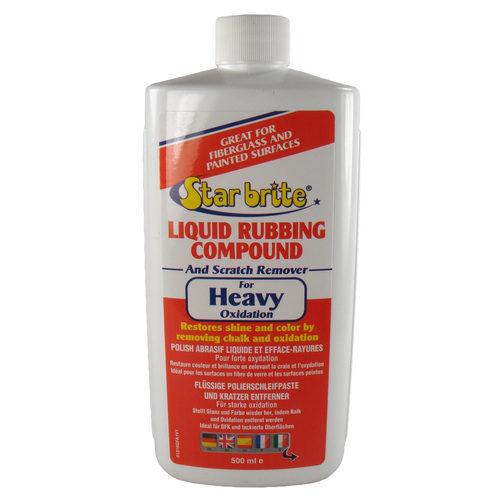 Where there is less oxidation but enough to warranty a cutting compound the Medium Liquid Rubbing Compound is effective without being too harsh on the gelcoat. Medium can be most suitable if you clean your boat frequently as it will not cut through gelcoat quite so much. It is usual to follow any compound clean with a Colour Restorer which will refine the cleaning process and then a Polish to protect all your hard work.